VIP tickets, which includes a post-concert reception, are $75 each, while tickets for general admission are $25 and $5 for students. Call 817-531-3804 or 817-994-7575 to purchase or reserve tickets. 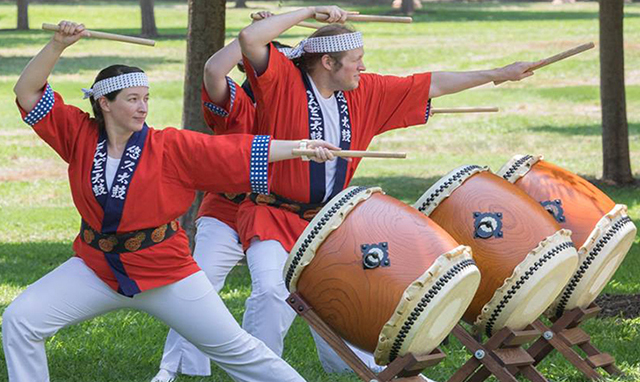 This year’s event will feature performances by TCC’s Jazz Combo, pianist Oscar Dressler, L. D. Bell Steppers, Indique Dance Group, Black Steel (steel pan ensemble), Dondoko Taiko (Japanese drummers), Romanian dancers and many more. “Attending and supporting this concert is a great way to celebrate faculty and support student success at TCC while enjoying a fantastic evening of music and dance,” Jordan explained. Community members can experience diverse arts and culture programming at TCC South throughout the academic year, and The Heart of Peace Concert is just another example of TCC’s commitment to serving the community. Since 2016, members of the Fort Worth East Rotary Club have donated $15,500 to support students pursuing a degree at TCC. Jordan appreciates the partnership. “On behalf of the TCC community, I extend our sincere thanks to the Rotary Clubs of Fort Worth East and Arlington Great Southwest for bringing this evening of culture to our campus and the greater community,” he said. Be sure to visit calendar.tccd.edu/south for more information about events occurring at TCC South.